Rev. James T. Sees, CSV, died Nov. 4, 1966 at Little Company of Mary Health Facility in San Pierre, IN. At the time, Fr. Sees was in the 47th year of religious life and 37th year of priesthood. He was 65. Fr. Sees was born Apr. 24, 1901 in Columbus, IN. He was raised in a devout Catholic family, and his parents sent him to attend St. Viator Academy in 1915 in Bourbonnais. Upon completing high school in 1919, Fr. Sees entered the Viatorian Novitiate in Chicago. He pronounced his first vows Aug. 15, 1920. He then entered St. Viator College in 1920 and earned his bachelor’s degree in 1924. During his school years, Fr. Sees was an outstanding athlete, especially in football, where his strength, courage and generosity won the admiration of his coach and fellow students. After graduation, Fr. Sees spent two years teaching at St. Viator College. In 1926, he pursued graduate level theological studies at Catholic University of America in Washington, DC, before pronouncing his final vows Aug. 15, 1926. The crowning glory of his academic career came with his ordination to the priesthood on June 10, 1930 in St. Meinrad, IN. Fr. Sees was one of the founders of Cathedral Boys High School in Springfield, IL, where he served as teacher and athletic director from 1930 to 1937 and as principal from 1937 to 1942. In addition to his other duties, Fr. Sees was a member of the Provincial Council of the Clerics of St. Viator from 1939 to 1942. For the next 10 years, Fr. Sees ministered in such places as St. Mary Sanitarium in Dyer, IN where he was chaplain; St. Rita and St. Philip high schools in Chicago as a teacher, and as an administrator in the State School for Boys in St. Charles, IL. 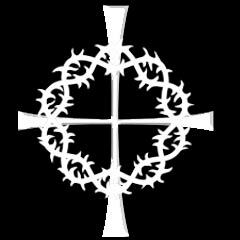 From 1952 to 1958, Fr. 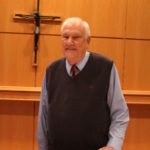 Sees served as pastor of Holy Family Church in Athens, IL which included various out-missions and posts, before spending a year as chaplain at Mother of Sorrows Institute in Blue Island, IL from 1958-59 and as pastor of St. Anne Church in St. Anne, IL from 1959-60. 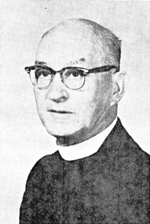 In 1960, Fr. Sees suffered a stroke and from that time on he was more or less incapacitated. Funeral services were held Nov. 7 at St. Viator Church in Chicago, where the Rev. Daniel A. O’Connor, CSV, preached the sermon. He was laid to rest in the Viatorian plot in Queen of Heaven Cemetery in Hillside, IL.